Gone are the days when we settled for nondescript desserts or sandwiches that were simply thrown together with a random condiment, some meat and bread. Our evolved palates are constantly demanding more culinary creativity like the almighty, mouth-watering donut sandwiches that look *so* scrumptious that you absolutely must try at least one this summer. Grilled cheese doughnut, anyone? So, are donuts the first to come to mind when you think of foods you can’t wait to eat this summer? Well, that’s a highly personal decision so we won’t push too hard. We will, however, allow you a moment to decide if you want to come over to the donut side. While mulling that over, have a look at these downright heavenly donut sandwiches that are here to bring joy to the world and — most importantly — our taste buds. 1Donut gelato sandwich with funfetti. This delectable donut sandwich comes with a jalapeño cheddar donut with brisket, onions, and pickles. But if you’d rather skip the spice, there’s also a black pepper parmesan donut with prosciutto, brie, turkey, fig jam, and arugula. 4Egg and cheese maple bacon donut. They had us at bacon. For those summer fruit cravings. 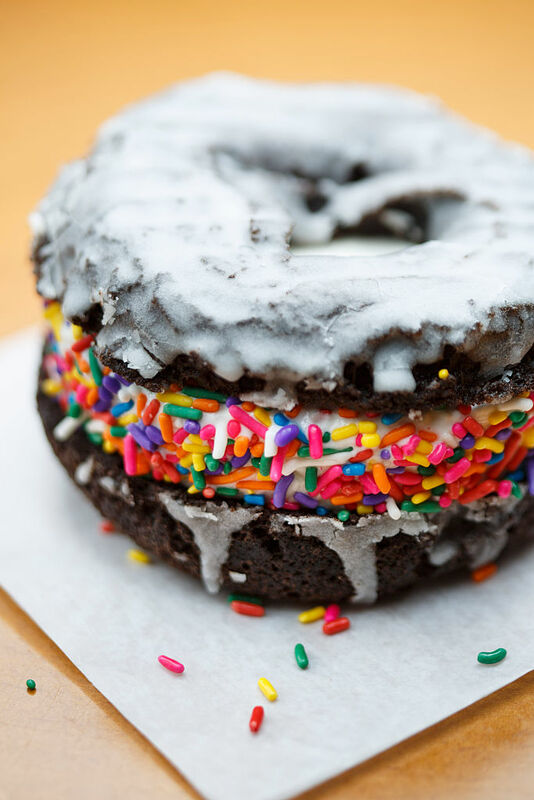 8Sour cream, chocolate-dipped donut sandwich. Covered in glaze and filled with cappuccino gelato. If this is what summer heaven is like, we’ll gladly go there and stay forever.